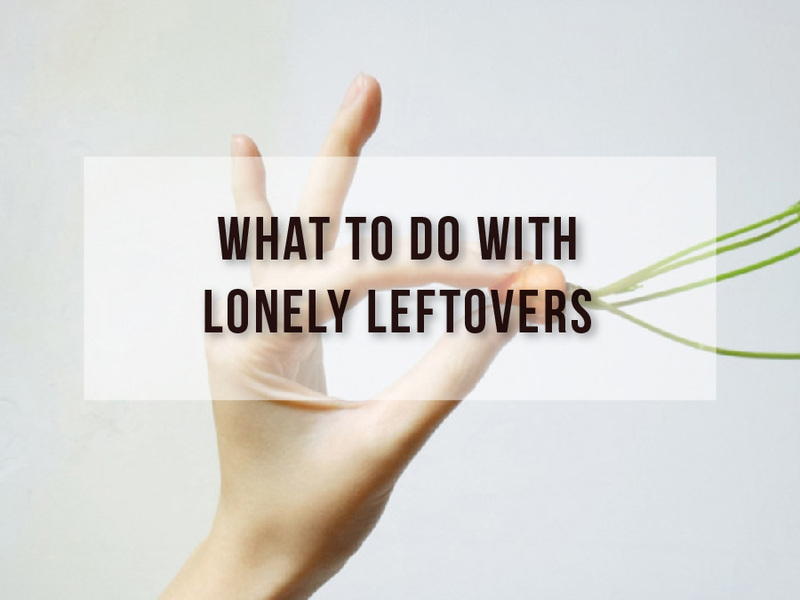 One of the biggest challenges of dealing with leftovers is figuring out what to do with small bits food. It seems like a waste to throw away a quarter cup of carrots or to toss that one piece of bread, but you can’t actually serve them as is. 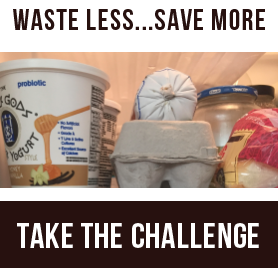 Here are my tips for rescuing even the smallest bits of food, plus a recipe for incorporating leftovers into a completely new meal. Bag your veggies. Keep a bag in your freezer and add scraps of leftover vegetables to it each night. Add the saved-up components to your next soup or stew. Stuff it. Keep another freezer bag for lone pieces of bread to use for stuffing. Oatrageous. Don’t dump bits of leftover oatmeal. Freeze and add it to your next batch of cookie dough. Gravy Train. Instead of throwing out leftover gravy, freeze it. The next time you want to make gravy, use this as a starter and just add broth and some flour. You won’t need pan scrapings to get gravy going ever again. Dippy. Leftover party dip might seem useless, but you can heat it up and use it as a sauce for chicken and fish another night. Juicy. Freeze those remaining tablespoons of juice in an ice cube tray and add them to iced tea. This warm and wonderful soup uses up leftover potatoes and meatloaf. If you don’t happen to have leftover potatoes, cook 2 large baking potatoes in the microwave and use those. It comes together quickly and makes a hearty complete meal, when served with a salad. 1. Melt butter in a large saucepan or small soup pot. 2. Stir in flour and cook for about 30 seconds. 3. Whisk in the milk and stir in salt and pepper. 4. Cook over medium heat, stirring occasionally until it thickens. 5. Stir in potato, cheese, scallion, yogurt and sour cream. 6. Cook until it begins to bubble. 7. Stir in the meatloaf and cook for about 3 minutes until heated through. Brette Sember is the author of Leftover Love: 52 Creative Recipes for Using Your Leftovers, The Original Muffin Tin Cookbook and Cookie: A Love Story. Learn more at BretteSember.com, or follow her on Twitter, Pinterest or Facebook.